RP Meg Peabody is HOME, this is another flunked foster family. Tawnya, Rob, Ragen and Cameron (who was not available for the family photo). 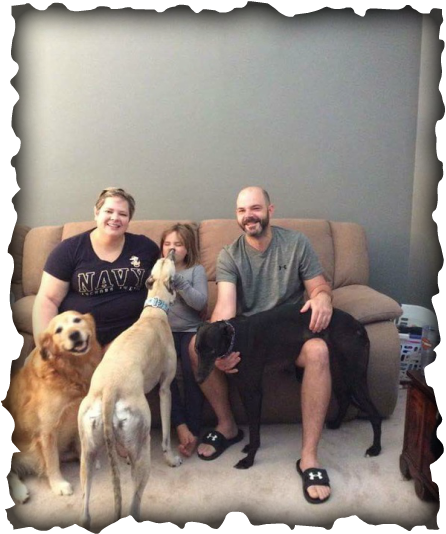 This family has fostered several male dogs and this time they wanted to foster a female, well Sara and Meg became best friends instantly and Jack, love his smile, (golden retriever) was fine adding her to their family. They all fell in love with her personality and just couldn't let her go anywhere else. Meg was a VERY lucky girl to have found this family.